The sunshine was most definitely on Leith last week as we presented two days of activity at the Edinburgh International Film Festival. As part of the festival's industry strand Distribution Rewired, we co-hosted a panel, chaired by Bea Neaumann and focused on film festivals: their value to local venues and audiences, their relationships with distributors and programmers and innovative audience development strategies that can be applied year-round. Allison Gardner of Glasgow Film, Melanie Iredale of Sheffield Doc/Fest and Damian Spandley of Curzon shared their insight and experience; Melanie spoke about Doc/Fest's engagement with local community groups, low-cost ticket prices for local audiences and their one-tier pass system which means that everyone from volunteers to directors to commissioners meet and network (at legendary parties) together. Glasgow Film Festival's experiential screenings open up the traditional cinema space for sold-out screenings of Die Hard (in an abandoned office block) and a suitably arctic outdoor showing of The Thing, complete with husky (by all accounts, not an alien host). 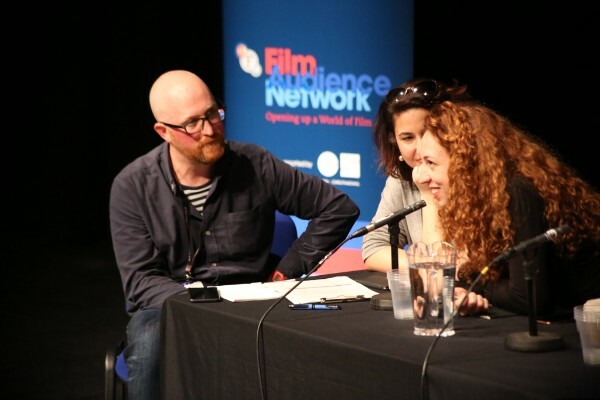 These immersive events become a fixture of the festival and attract young, local audiences who might then take a chance on a regular GFT screening, or dip into something else at the festival - all three panelists agreed that earning trust through programming can convert festival-goers into regular cinema attendees. Festival programming in venues also allows programmers to take risks and screen smaller international films to huge audiences in sold-out screens - Curzon supports smaller festivals to bring new audiences into their cinemas, but also bring a truly independent, international range of programming to their existing members. 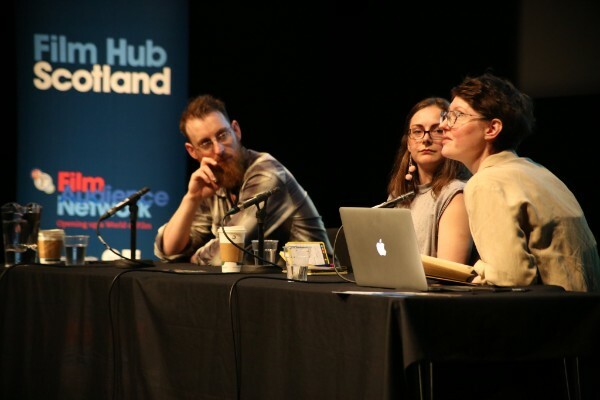 Serendipitously, this panel coincided with the launch of Creative Scotland's new Film Festivals fund - more to come on this. Wednesday saw a full day of activity for Film Hub Scotland members, starting with an invaluable peek into the Scottish Moving Image Archive from Dr Emily Munro, with guidance on how we can explore the archive, hire and screen the films, and curate the collection to suit existing themes and audiences. You can view the archive here. Luci Holland and Mike Kearney of the Tinderbox Orchestra presented their EIFF event Moving Music, which combined film from the Moving Image Archive with an original soundtrack, fully composed and performed by young musicians. It was a real treat to watch the films with the score - a new way to open up archive film to young people, to spark creativity, to bring old stories to new audiences. After some moderate drinking and merriment, that was a wrap on EIFF 2018. If you have any questions at all, please email the team or get in touch on social media. We're here to assist you in your programming, marketing, training, funding and anything else.